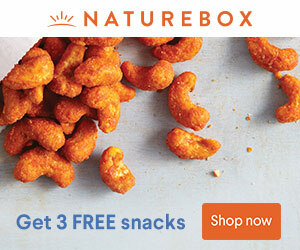 So, needless to say, I was pretty psyched a few weeks back when our monthly Naturebox arrived with a package of Sriracha Roasted Cashews tucked inside. My husband I were so excited--for about an hour. (That's how long it took the two of us to polish off the entire bag. Oops.) So I took to Pinterest, naturally, to see if I could find a way to recreate them. I stumbled on a recipe from Heather's Dish, whipped it up immediately, and people? It is fabulous. The glaze has a great kick, and when it's smothered over the nuts, you get the perfect mix of sweet, spicy, and crunchy. I would venture to say it's utterly impossible to limit yourself to one or two handfuls. Or five handfuls for that matter. And for anyone worried: It's not too, too spicy. (For reference: I'm someone who goes for mild to maybe medium salsa--never hot--and these are perfect for me.) They're also incredibly easy. They take five minutes (literally) to make. 1. Combine the honey, sriracha, and soy sauce in a small saucepan over medium heat and bring to a simmer. 3. Simmer for about five minutes until the mixture is very thick and has reduced by about half. 4. Remove from the heat and immediately pour the cashews in, stirring vigorously until they are all covered with the sauce. 5. Pour onto the parchment paper and spread into an even layer. 7. Allow to cool completely before eating. Ok, now, GO. Make these. Now. You won't regret it, I promise. Then, come back and tell me what you think below. Just don't blame me when you become addicted, too. For more recipes like this, follow my "Healthy Recipes" board on Pinterest! My husband will LOVE these! I can't ever make these again because I can not keep my hands out of them! Awesome recipe! My husband is so excited, half of his Nature Box consists of these. However, for 1/2 cup of these, it's going to cost you 400+ calories!